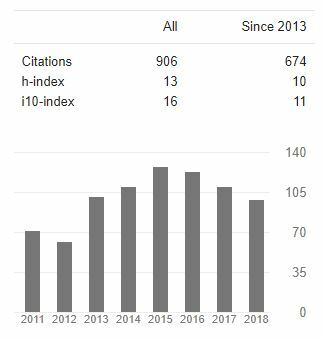 Here is the statistics of citations to my publication mostly since 2009. This is the full list of my publications split into publication type. If you ever wonder, I keep them aligned with JabRef.